Whether you have guests every other weekend or much less frequently, it’s great to try and create an inviting atmosphere that makes people feel at ease as soon as they arrive. If you’ve ever stayed in a five-star hotel and appreciated how the housekeepers went above and beyond to pamper you, the memories probably lasted long after your trip was over. There are some things you can do to help guests feel like they’re going on a retreat when they stay with you, too. Some of the world’s most upscale boutique hotels have themed rooms that focus on certain movies, famous people, types of animals, and more. Spend some time thinking carefully about the types of themes that would fit best with your bedroom, then pick one and decorate with gusto. The themes you gravitate towards may be specific to your region or state. For example, Kentucky is famous for horses and North Carolina celebrates the azalea bush at an annual festival. Once you’ve chosen a theme, find colors and fabrics that complement it. If you select an ocean theme, blues and grays are probably most suitable. Fabric with an anchor or fish print would also match well. 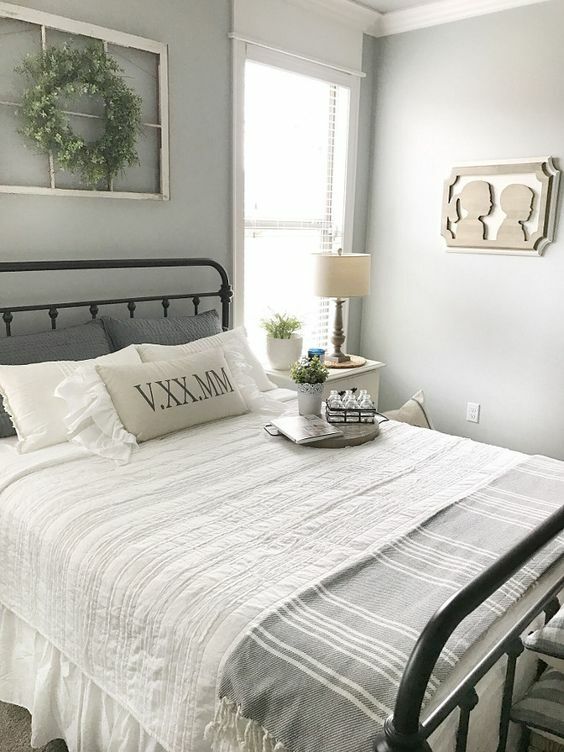 Getting your guest room ready is all about showing how you’ve thought of all the little details that combine to help guests have luxurious visits. Making the room smell nice is a great step to take because it gives guests good impressions as soon as they enter the room. Regardless if you give guests candles, a diffuser, or both, set these items on a hard, flat surface to reduce the possibility they might get knocked over and cause fires. If you’re feeling stuck about what scents to choose, think about what’s most likely to please the greatest number of people. Clean linen is one possibility because you don’t often hear guests grumbling about disliking the smell of freshly laundered items. Also, remember that guests may be feeling frazzled after traveling and would likely appreciate a relaxing scent like lavender or vanilla. After setting up the candles or diffuser in the room, don’t forget the accessories. 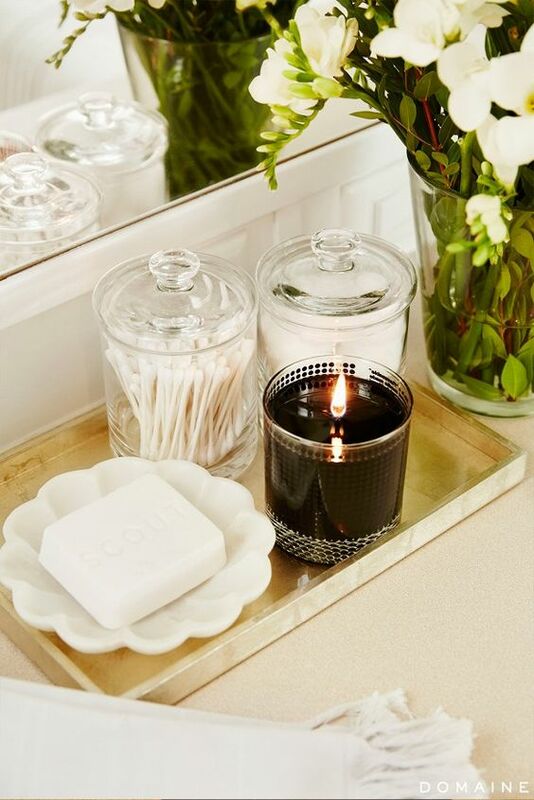 A candle holder or small plate is a great decorating idea that prevents wax from dripping down onto surfaces below and a book of matches or a cigarette lighter is essential for helping guests light the scented item and start breathing in the fragrance. Although it’s common for people to stock toiletry baskets for their guests, not all of them go further and specifically find the most enticing items possible. Instead of just buying a travel-size container of well-known body lotion from the supermarket, take a more exotic approach and find a hydrating balm that includes the essence of a Hawaiian flower and a special ingredient that tightens and moisturizes skin simultaneously. The idea is that you want guests to realize you’re trying to give them experiences that allow them to discover new things while in your guest room. Maybe you found a type of shower gel that combines pomegranate and bergamot scents. Even if people know what those things smell like individually, they’ll probably feel especially intrigued if you stock a product like that in their toiletry basket. Most of the time guests spend in the room will probably be to sleep. With that in mind, it’s smart to think about what you can do to make the bed as comfortable as possible. As a starting point, sleep on the guest bed for a night before you make it up for the next occupant. If the mattress has a sagging section or feels too hard, it’s time to invest in a new one. 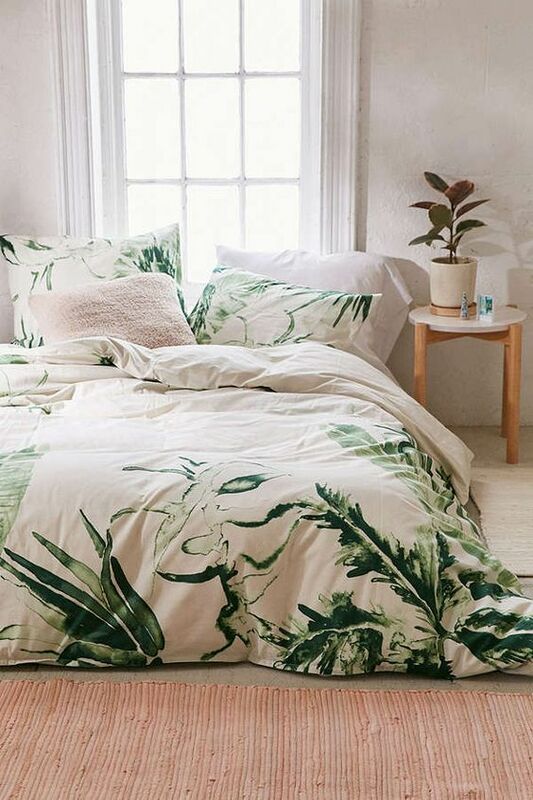 Also, consider how things like high-quality, well-reviewed bamboo sheets offer a pleasing surface for guests to lie down on at the end of their long and action-packed days. Once you’ve put a sheet set on the bed, turn to things like the pillow and comforter. Plushness is a key factor here, as is softness. You might also want to put a bottle of linen spray on the bedside table so guests can spray the bedding just before they crawl under the covers, treating themselves to an amazing aroma as they drift off to sleep. Think ahead and stock a deep wicker basket with extra linens, as well. Even if guests are visiting during the summer and you don’t think they’ll get cold, everyone responds to temperatures differently and you can never be too sure. Putting the basket in a prominent area prevents guests from having to ask for what they need because they’ll see the items right away. Hotels usually have many travel brochures that give guests ideas about what to see and do, but they’re often located in the lobby. Because your home doesn’t have a lobby, you’ll need to do the next best thing and give guests an assortment of travel guides, maps, and promotional materials about attractions inside the room. Collect a few books about your state or town too. If possible, it’s thoughtful to offer both fiction and non-fiction titles. If the guest room doesn’t have adequate natural and overhead lighting, consider investing in a floor lamp for the corner or a lamp that sits on the nightstand. These accessories make it so your guests don’t have to strain their eyes to read. 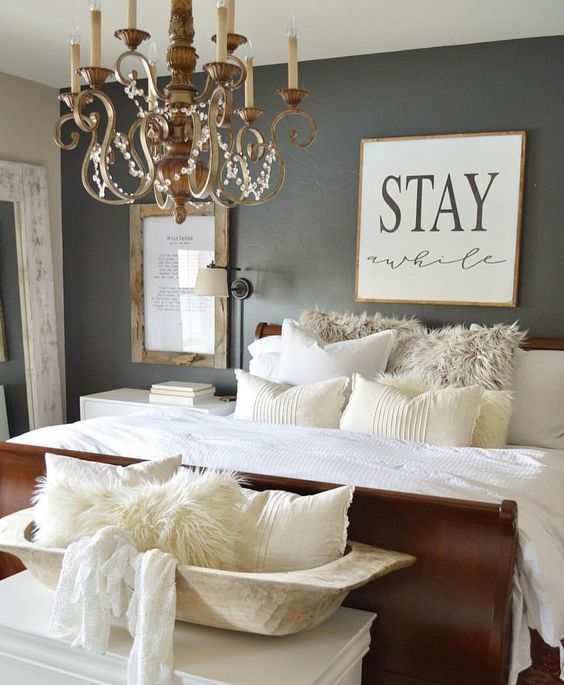 As you can see, it’s not as hard as you may have thought to turn your guest room into a truly relaxing place. The more thought you put into it before people arrive, the better the outcome is likely to be.